"Luxurious" and "hostel" are two words not commonly used in one sentence. Luckily Adler Luxury Hostel makes this one right. There are still bunkbeds in the shared rooms (otherwise it wouldn't be called hostel! ), but they're solid, comfortable and little courtains offer some privacy. Whole place is amazingly clean with very helpful staff members. 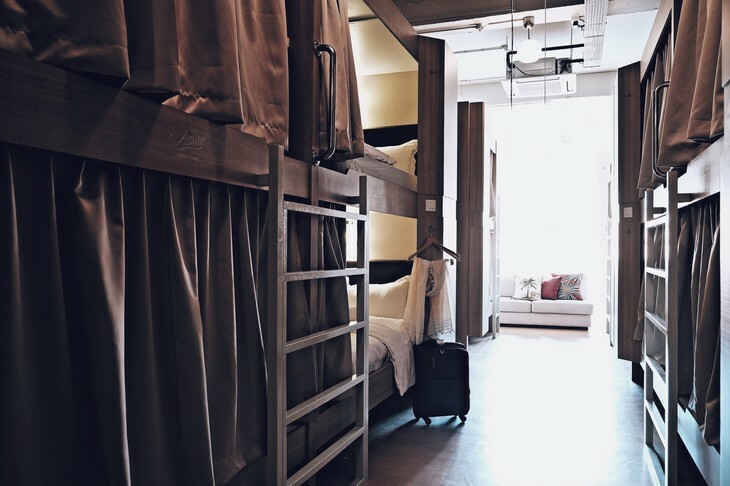 Adler Luxury Hostel is located in the middle of Chinatown's District. If you decide to book it, you'll have a very convenient starting point for your city explorations inlcuding Buddha Tooth Relic Temple, Sri Mariamman Temple, Maxwell Food Market and National Gallery. Sounds good? We hope so because we loved it!